We show below an example of the use of the reference section of the compiled help file, Documentation\HLP\Object Pascal SDL Doc.chm. We found this section most useful. 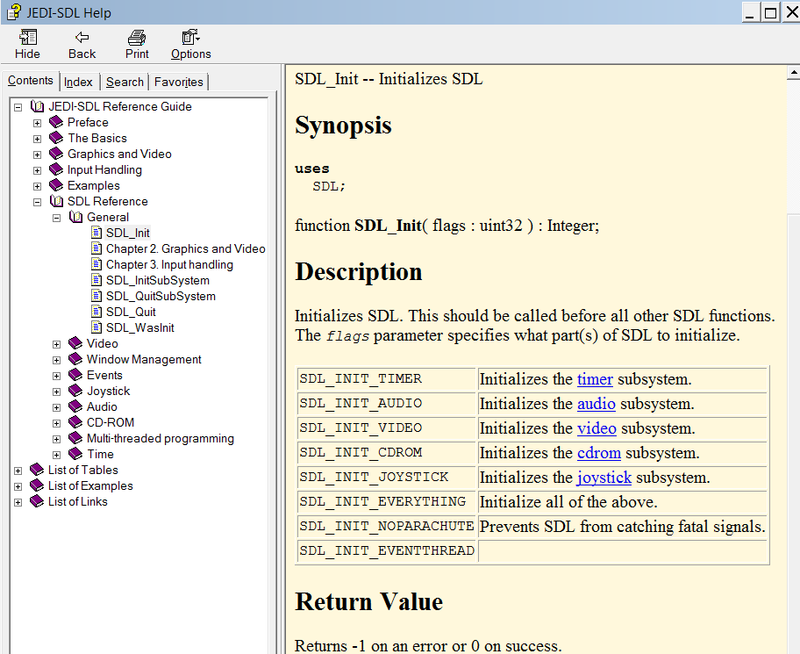 See the List of Tables for SDL identifiers of keys. We suggest that you add to your desktop a shortcut to the compiled help file. Note that this does not document sdl_utils.pas which contains headers for further subroutines that you may find useful. See our next section for the use of Pascal source files for obtaining help.